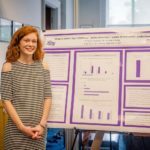 The mission of the High Point University (HPU) journal, Innovation: Journal of Creative and Scholarly Work, is to publish a journal composed of scholarly and creative works from High Point University undergraduate students. 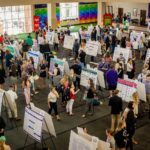 To fulfill this mission, the editors of the HPU Journal of Undergraduate Research and Creative Works solicit and select papers that represent a range of disciplines. Management of the journal submissions and reviews is conducted through Scholastica. Click the Scholastica button to get more information and to submit your materials.